I went to see Dr. Graham for a consult on a tummy tuck. Dr. Graham and his staff were completely understanding and answered all my questions. Dr. Graham and Katie made me feel at ease and I was able to share personal thoughts with no judgment. Dr. Graham gave me his personal phone # so I could call with any questions after my surgery. He called a couple of times to check on me, which shows he really cares. I can't say enough positive feedback about my experience. I am extremely happy with my results and would definitely recommend. Dr. Graham and his staff are very professional and do an amazing job. My breast augmentation went without an issue and his rapid recovery made the whole process very easy. I am very happy with my results and love how I got my desired look! 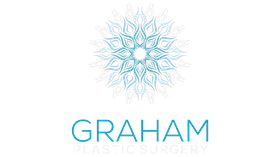 Thank you to the amazing Team at Graham Plastic Surgery! The office location and staff are both warm and inviting making the process of having surgery much less stressful. Dr Graham performed my wrist surgery in kind and professional manner and the results are amazing. I would highly recommend Graham Plastic Surgery! This was my second cosmetic procedure. After considering several options in the Rochester area, I chose not to return to the same plastic surgeon who performed my first surgery – not because of anything they did wrong, but because of everything Dr. Graham did right. He focused attentively on fully understanding and answering all of my questions and concerns, and recommended the best type of procedure to fit my needs and goals. He then walked me step-by-step through the process to ensure that I was comfortable. He put me at ease before, during, and after the surgery, and I was grateful for that. His work is meticulous, which resulted in minimal swelling and a rapid recovery. Most important – I am thrilled with the results of my surgery. Thanks to Dr. Graham, I feel great about my body, and the big concern I had before surgery has vanished. I highly recommend Graham Plastic Surgery to anyone considering a cosmetic procedure. You won’t find a better doctor or more complete wellness center out there. I truly feel as though I walked in as a friend and out as family! Had a great experience with Dr Graham who performed my tummy tuck and breast lift. The office staff are also great. They made me feel very comfortable and answered all my questions without judgement, I would highly recommend!